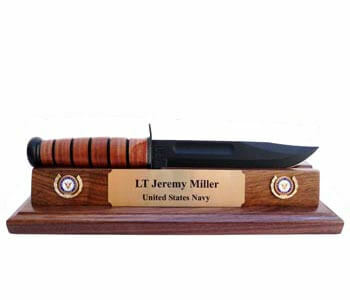 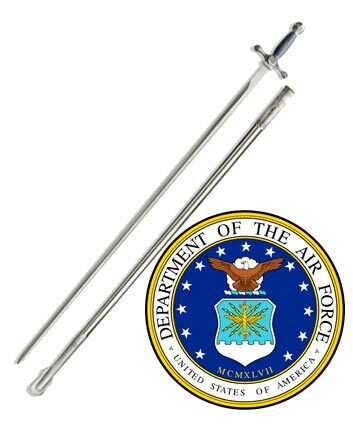 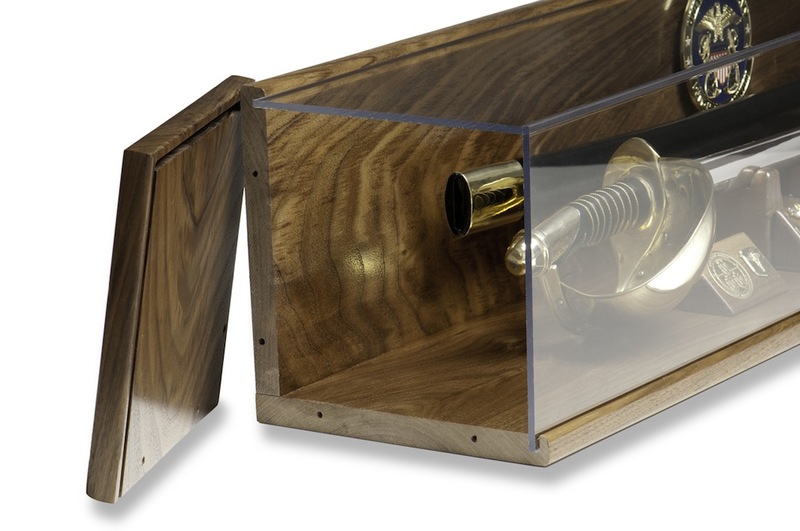 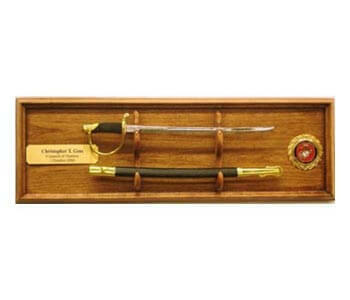 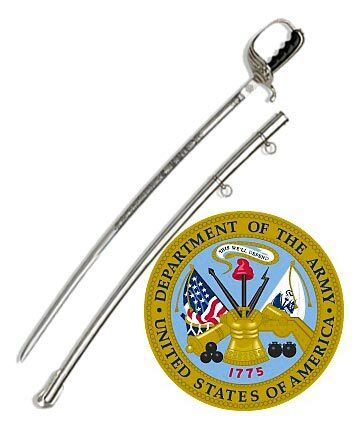 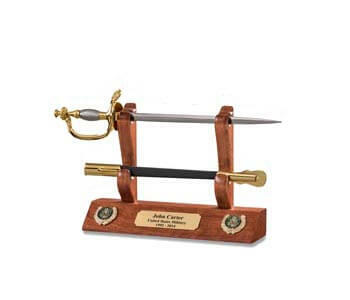 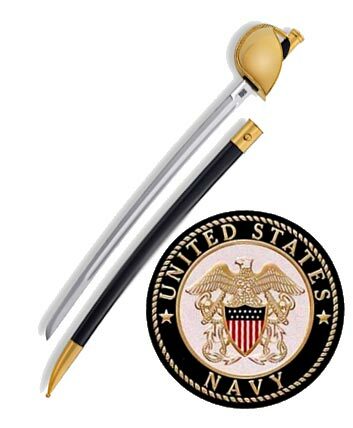 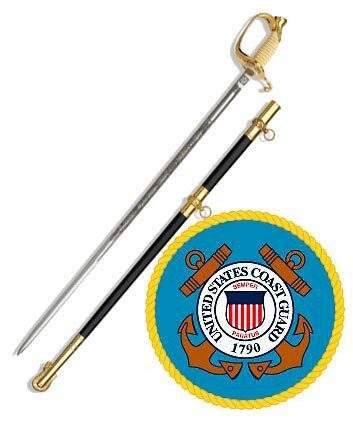 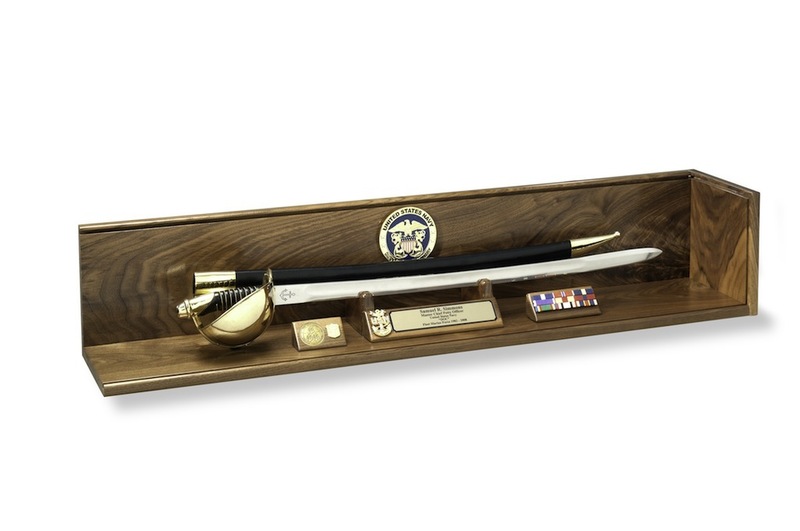 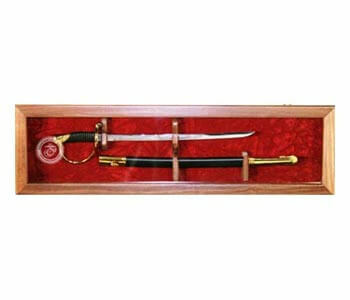 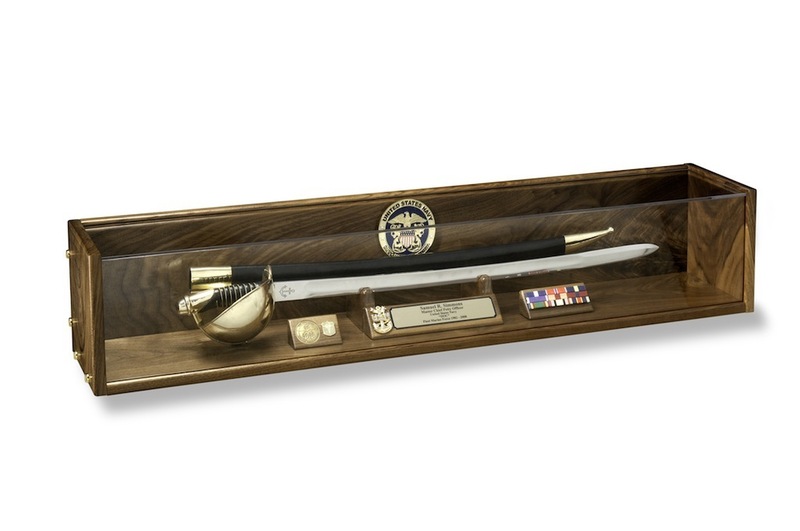 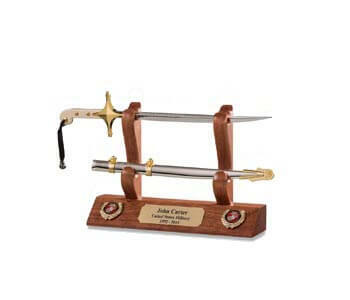 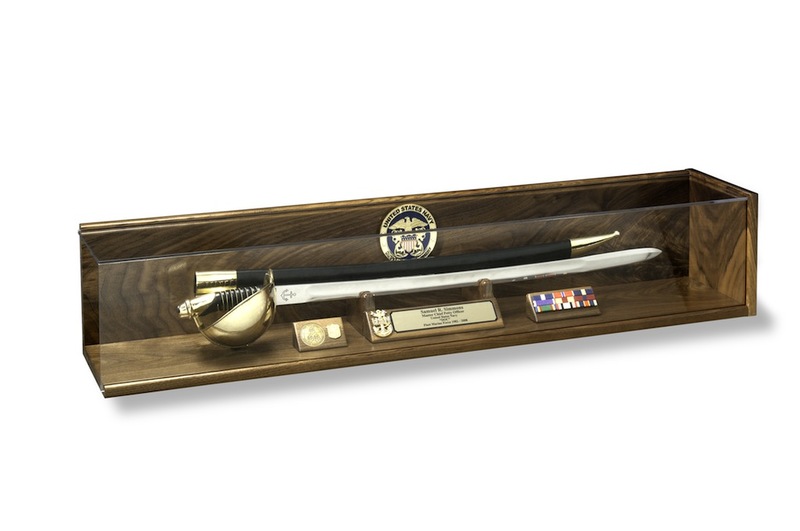 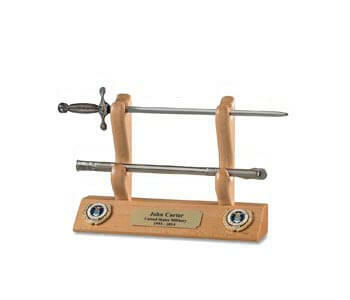 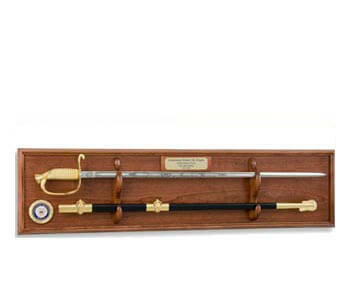 This beautiful Custom Case allows you to display your U.S. Military Officerï¿½s Sword, NCO Sword or Saber, or Navy Cutlass along with the many other items depicting your United States Military Service. 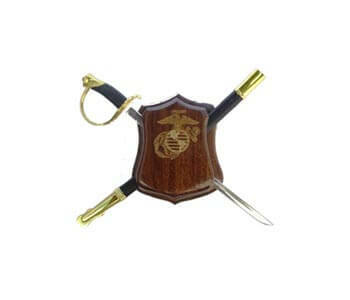 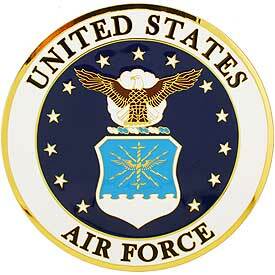 Other items such as Military Ribbons, Medals, Rank Insignia (metal or cloth), and Wings are available. 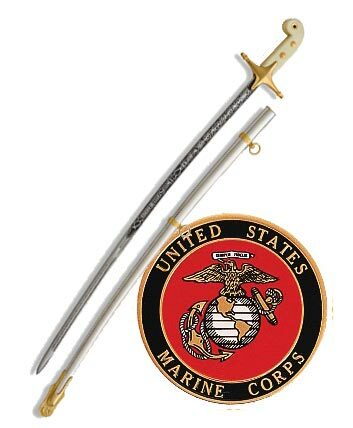 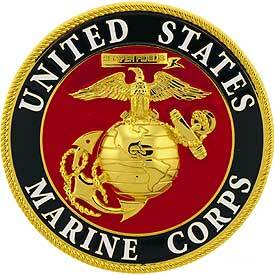 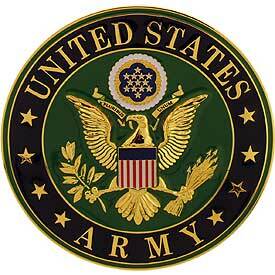 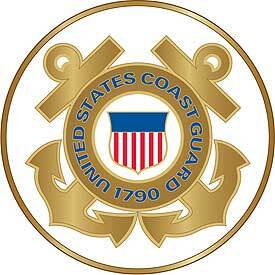 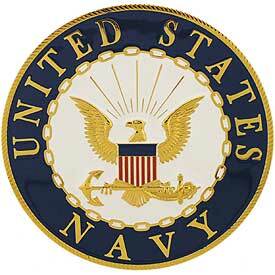 The official Seal, of your branch of Military Service, is included. 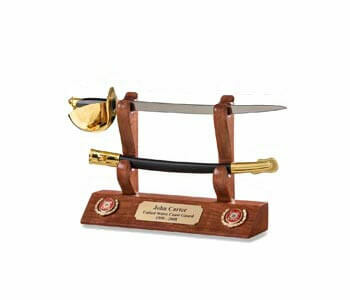 In addition we can obtain, and mount miniature U.S. Military Ships, Aircraft, Weapons, and Military Vehicles. 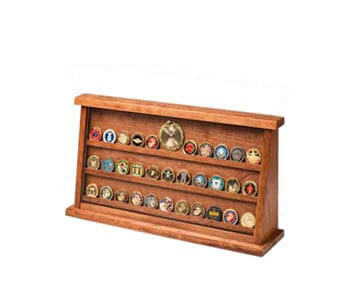 Military Patches, Challenge Coins, and other Military Unit Identification can be displayed. 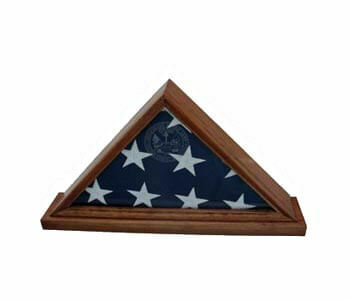 Please contact us to discuss the availability, and prices, for personal items you want included with this case. 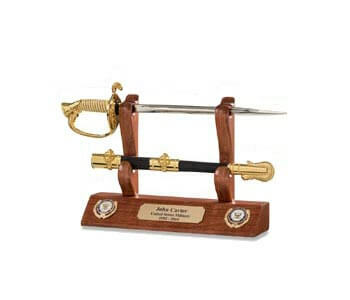 An engraved brass plate, as pictured, is also available and mounted on the Case for a nominal cost.